Can You Rely on Wood? This entry was posted on April 12, 2014 by Goplasticpallets. Jim Hardisty, Managing Director of Goplasticpallets.com examines how the current timber shortages and pending ISPM 15 extension could impact on UK exporters. Exports for British goods hit a record high in 2013. According to the Office of National Statistics, £304.3billion worth of goods stamped ‘Made in Britain’ were shipped around the world last year – up 1.3 per cent on 2012 and the biggest number on record. However with UK timber stocks at an all-time low and further developments in the proposed extension to ISPM 15 regulations, those exporters reliant on wooden pallets for shipping goods may struggle to meet their targets this year unless they look to alternatives. The availability of timber has been suffering a squeeze for a good few months, since the continued recovery of the UK economy and Government financing incentives have resulted in increased demand, particularly from the construction sector. According to the Timber Packaging & Pallet Confederation (TIMCON), the recent storms and floods that caused widespread damage across the UK have put further pressure on the forest-based industries, as the need for fencing and construction timber is much stronger than usual. Booming demand for timber in foreign markets, in particular the Middle East, Africa and China is equally straining availability. All markets want timber: Canada has been affected by beetle attack, forcing China to purchase from Russia and Scandinavia. America’s housing boom is also triggering increased imports from Europe, North Africa, Egypt and the Middle East. The latest Markit PMI Prices and Supply Monitor report states that out of all raw material inputs, timber is by far experiencing the severest supply shortages and, as a consequence, upward pressure on price. This is tragic news for the UK timber pallet industry since increased imports of pallet timber will certainly push up the price of wooden pallets even further. According to the Pöyry Index, in the last three quarters UK pallet sawn timber prices for standard size pallets increased by more than 15 percent. Over the coming months, exporters using wooden pallets may not only face dramatic price increases as a result of the timber shortages, but further cost implications due to the proposed extension of International Standards for Phytosanitary Measures No. 15 (ISPM 15). 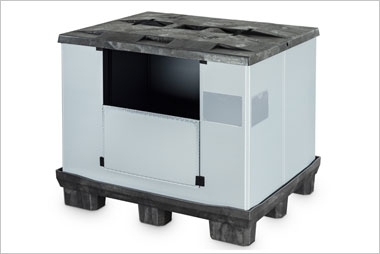 Currently ISPM 15 regulations require only wood packaging materials, such as pallets and crates, transported into the European Union or exported from Portugal – a known pinewood nematode area – to be heat-treated to eliminate all risks of pest and bacteria contamination. The European Commission is in the process of reviewing an extension of ISPM 15 to make the heat treatment of all wood packaging moving within EU member states compulsory. If accepted by EU member governments, the ISPM 15 extension could come into force by 2015. The European Federation of Wooden Pallet and Package Manufacturers (FEFPEB) has been lobbying against extending ISPM 15 regulations since June 2009 and has so far been successful. deregulation, meaning that there would be no rules. European Commission plant health experts, DG Sanco, is not expected to make any further announcement or decision on the regulatory extension until later this year, however if passed, the wood packaging industry will need to quickly invest in providing more heat-treatment facilities in the EU to meet the expected demand. 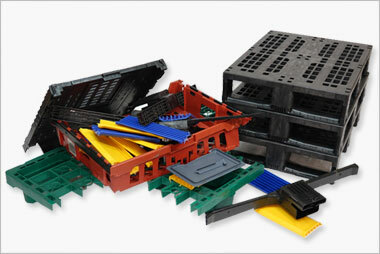 In the last year, Goplasticpallets.com has noticed more export shippers shifting away from solid wood pallets in favour of its lightweight, nestable plastic pallets. 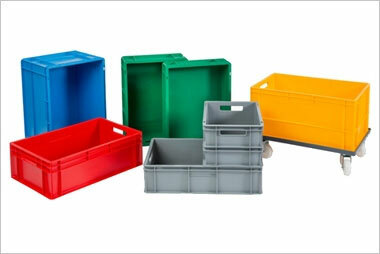 Since the launch of the company’s new Cabka-IPS CPP 110 PE nestable pallet last summer, Goplasticpallets.com has achieved nestable pallet sales of more than 195,000 units. 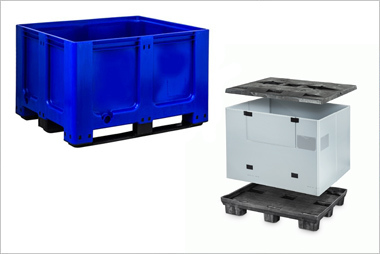 Measuring 1200mm (L) x 1000mm (W) x 130mm (H), the Cabka-IPS CPP 110 PE pallet has a perforated deck for extra lightness, each pallet weighing just 5.5kg, which helps keep airfreight costs to a minimum. 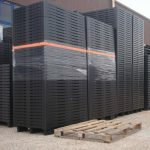 As the pallet is shallow, multiple pallets nest tightly together allowing 55 per 2.4m stack – almost 2,000 in a single Jumbo truck – further reducing freight costs. 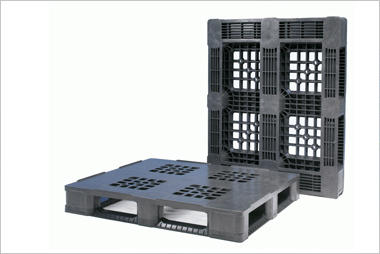 Like all plastic pallets, the Cabka-IPS CPP 110 PE pallet is completely exempt from ISPM 15 regulations. Call us on 01323 744057 for further information or complete our enquiry form.